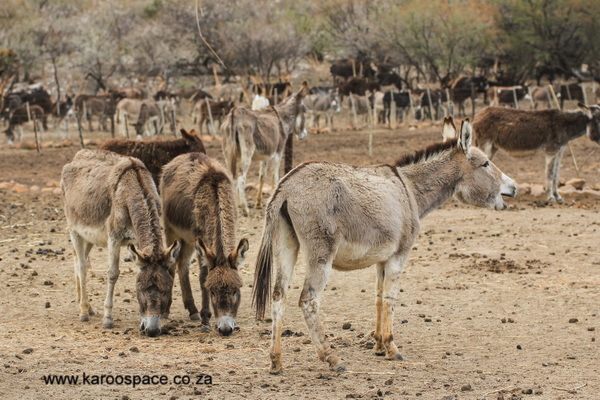 The Karoo Donkey Sanctuary sprawls over 18 hectares at the base of the Swartberg Mountains only two kilometres outside Prince Albert. Capetonians Jonno Sherwin and his partner Dr Johan Hugo bought the land in 2012 after falling in love with the area during a 2008 visit. They put a few animals on the land – just some ostriches and Nguni cows at first. 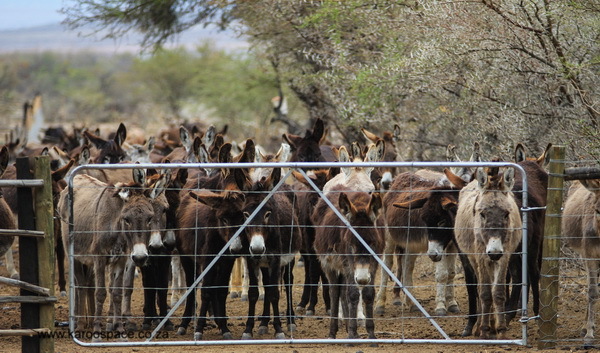 Then came the donkeys, a couple at a time, all rescued from appalling situations in the Western and Northern Cape. Soon there were nearly 40, along with some horses, pigs and chickens, each one named by Jonno and Johan. In late January 2017 Jonno was alerted to an auction of hundreds of donkeys and horses in Hartswater, Northern Cape. Most of them, he found, were destined for the abattoir and the new horrifyingly cruel trade in donkey skins, the result of demand in China for a traditional medicine called ejiao. It is made by boiling donkey hides to produce a gel-like substance used to treat menopause symptoms, anaemia and a weak libido. Jonno headed off to the Hartswater auction hoping to save 40 donkeys or so. But when he saw the terrible conditions, his heart broke. Mares and foals were separated and screaming for one another. The animals were crowded into enclosures, many skeletal and on the verge of death. It was a sight that will remain seared into Jonno’s memory forever. In the end, he brought back 300 donkeys along with a few horses. Many of the mares and jennies were pregnant, so the Sanctuary population went through the roof. For thousands of years, donkeys have been beasts of burden. But Jonno doesn’t see them like that at all. Practically every day Jonno gets calls for help for donkeys in need elsewhere in the country. But unfortunately there is no more room at the inn. So he and Johan are pouring their energies into finding suitable new homes and feed for all the donkeys. 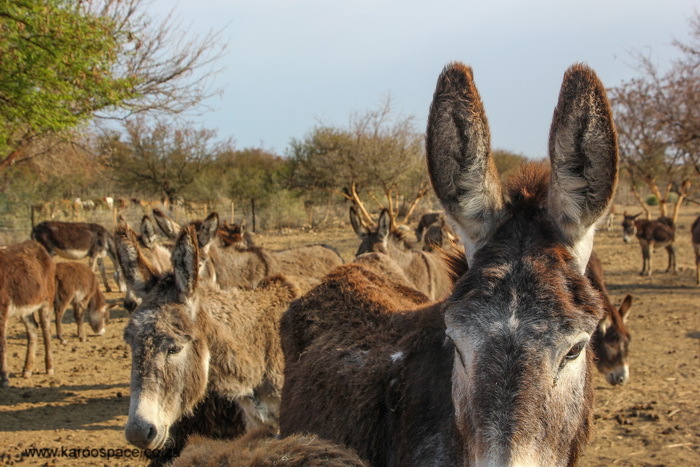 The Karoo Donkey Sanctuary welcomes visitors (R100 donation for adults, children under 15 free). 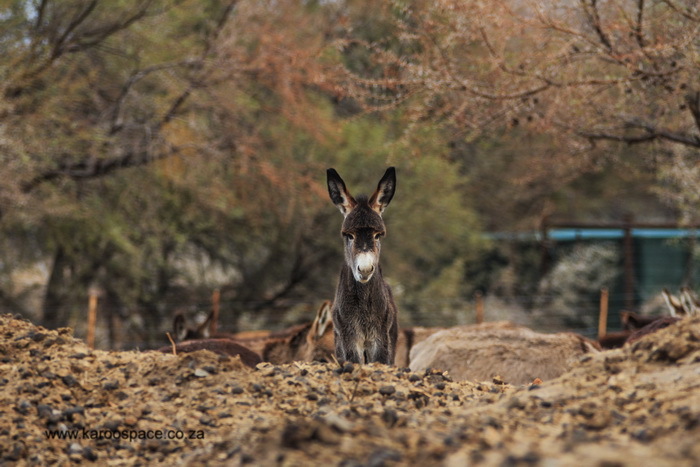 Contact them on karoodonkeysantuary.org.za or via their Facebook page (Karoo Donkey Sanctuary). If you can offer a ‘forever home’ for donkeys or can donate money or feed, contact Jonno on love@karoodonkeysanctuary.org.za. This is an excerpt from Moving to the Platteland – Life in Small Town South Africa by Julienne du Toit and Chris Marais. Available in print format HERE and in Ebook format HERE.